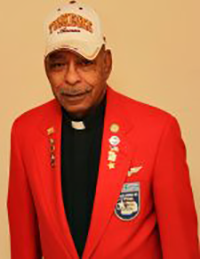 Alfonzo Jackson served 3 tours of duty in Vietnam. The People's Choice for the 2016 Veteran Hero. All proceeds will benefit seniors in need through SeniorServ's non-profit Meals on Wheels and related programs for at-risk seniors.